Montana Embroidery | Bozeman, MT - Embroidery Services | Hats, Shirts, Coats for your club, team or organization. Custom stitching made just for you. 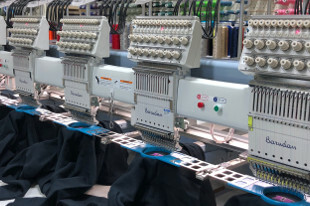 Montana Embroidery is your area’s primary source for top-quality embroidery and screen printing services, customized to meet your specific needs. Experience and expert service you can rely on. You can rest assured our locally owned and operated business will exceed your expectations. Owners and operators Buck and Sally Smith are dedicated to making sure every project and piece of apparel meets your needs, and guarantee you’ll be satisfied with your final product. From polos to tote bags, we have it all here for you! Click here to check out our great selection of apparel and merchandise that we can custom embroider or screen print just for you.